In this blog post, I have decided to come up with free Amazon affiliate plugins for WordPress. All of the tools that are listed below receive frequent system updates and are compatible with the latest WordPress versions. Amazon Terms of Service do not allow using affiliate links in emails. While many people use RSS feeds to populate emails to the users, there was a need to facilitate the process of letting the end user get the affiliate link. That’s when the developers of this plugin came up with an idea to create an automatic solution that would change affiliate links in a feed into links to posts. Use this plugin to edit all affiliate links in your posts to add your affiliate tag automatically. In case an URL already contains an affiliate tag, the plugin will replace it with yours. Installing this plugin on your WordPress site you will have formatted Amazon products/items quickly added to your posts or pages by using the Amazon product ASIN. To use the plugin you will need to have Amazon Affiliate account and Amazon Product Advertising API keys (Root Keys only). The plugin is used to quickly add Amazon product links to the already existing posts or pages. These can be simple text links, thumbnails or full-sized images, complex templates or Amazon flash widgets. The content of links can be managed by the author when a link is being created or refreshed after its publication while using data from Amazon. Includes a set of built-in templates for all the major Amazon widgets like Carousel, My Favorites, etc. Having this plugin installed on your WordPress site, you may be certain that all images, videos, documents and other media data that you upload to your site’s media library, will be automatically added to Amazon S3. URLs to each media file are also automatically replaced with respective Amazon S3 URLs. If you install a plugin to a website that’s been already launched for a while, do not expect all of its media content to be copied to Amazon S3. It works only with the data that you upload after the plugin installation. Use it to convert all Amazon affiliate links on your site into globalized links that work across all Amazon storefronts. Thus, all clicks from your international audiences are sent to the appropriate items in their local storefronts, boosting your conversions. ensure that you earn all international affiliate commisions that you deserve. With this plugin installed on your site, you will have a fast and efficient tool at hand, which lets you get your Amazon affiliate site up and running in a few hours. The plugin is compatible with any WordPress theme possible and is ready to go out-of-the-box. The plugin installs an output filter that checks for links to Amazon.com and Amzn.com. By rewriting the latter, it forwards the users to their country specific Amazon store using IP Geolocation. Use this plugin to create shoppable Amazon product content on your WordPress pages or posts by means of a shortcode. When anything changes with the chosen items at Amazon, the respective content will be updated on your site as well. You can mark the content with New, Popular or Recent tags, thus providing your audience with a more enjoyable shopping experience. Easy to manage, the plugin lets you create a fully-featured Amazon Affiliate Store selling physical and digital products, with variants, cart, checkout and custom themes. Use it to bring reviews custom post type to your site, so that you can add Amazon Product Review to the respective section on your web resource. If you have WooCommerce installed, then you are free to add Amazon reviews to WooCommerce products. I hope this collection of free Amazon affiliate plugins was useful for you. Are you going to use any of them? Do you have any additions to my list? 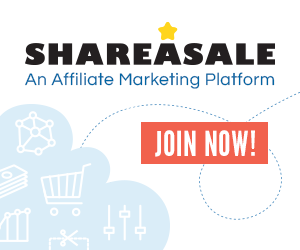 Are you ready to share your experience with some of the above mentioned or any other Amazon affiliate plugins? Your comments are welcome in the comments section.